← Regency Jewish Heritage Shines During Passover! Posted on April 7, 2013	by Judah Gutwein, L.N.H.A. In the world of senior healthcare, many companies feel that they offer excellent and compassionate care. However, few actually proclaim this in a loud and completely transparent manner in order to force life into their thoughts. To be transparent, is to open yourself to close scrutiny so that your actions can be properly measured against your rhetoric. I thought about these things this morning as I made my rounds of our facility at Regency Park nursing and rehab in Hazlet, NJ. Indeed, everywhere you turn in this beautiful building, there are openly transparent advertisements proclaiming our creed and our commitment to provide our seniors with the very best in elder care. We offer this rhetoric because we back it up with real, tangible actions and real results. We don’t hide behind noble thoughts and ideas. 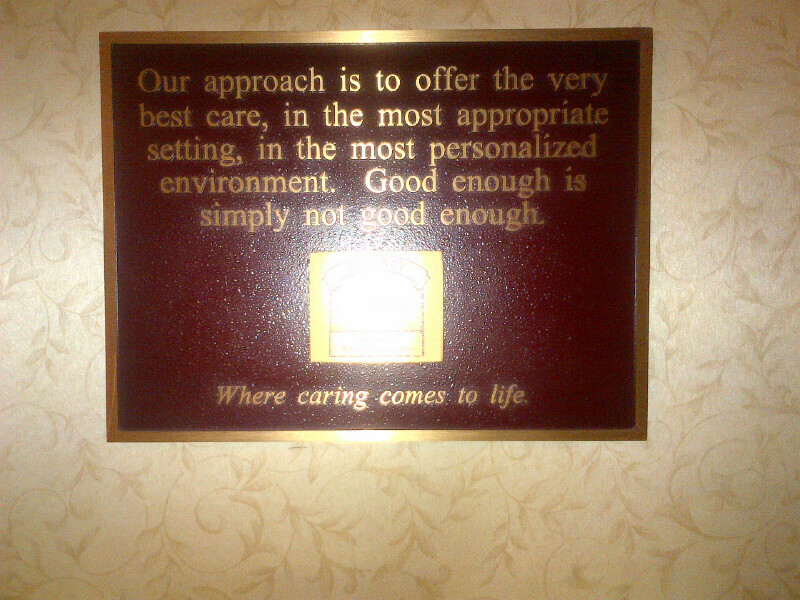 We offer real compassionate care and we force ourselves to measure up by openly advertising these goals and objectives. Take a look at these pictures I just snapped using my cell phone. These signs are literally all over our building!! 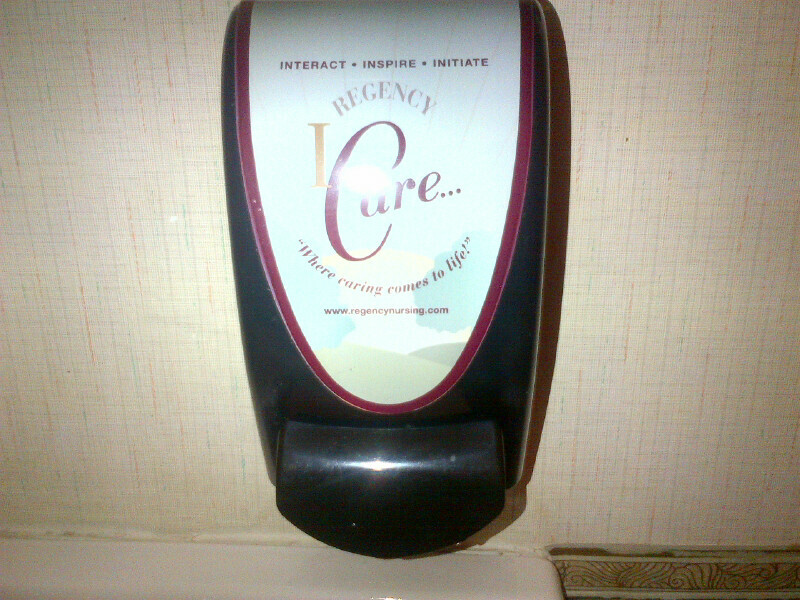 on our bathroom soap dispenser!! 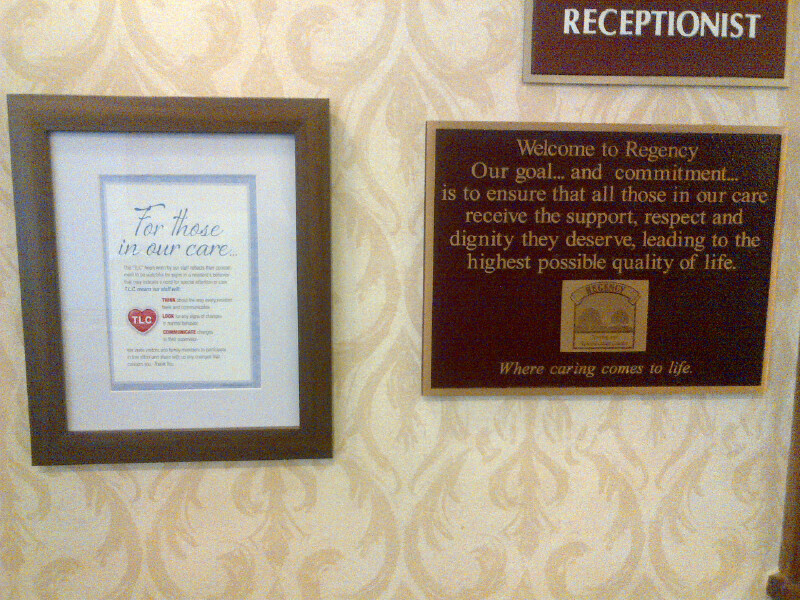 This entry was posted in HealthCare News, Regency Staff Spotlight, Senior Care. Bookmark the permalink.